Lake Taylor. Lake Sumner Forest Park. The Nelson Tops and Southern Alps in left distance. 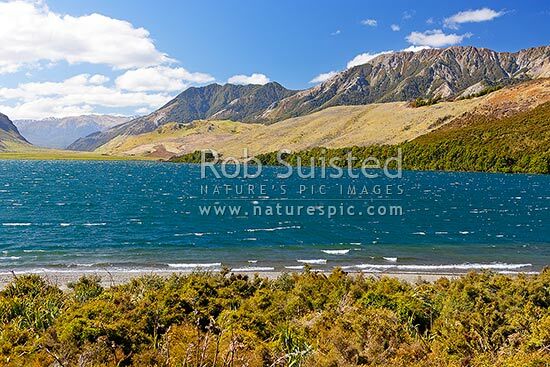 The Brothers Range top right, Lake Sumner, Hurunui District, Canterbury Region, New Zealand (NZ), stock photo.